Be honest, which of these two Mother’s Day verses most appeals? If it’s Verse A, then you’ve probably already booked your Mother’s Day breakfast or lunch for May 8th. Nice. Of course, the Verse A people have already booked out most Mother’s Day events, leaving Verse B people looking even more shabby than usual. 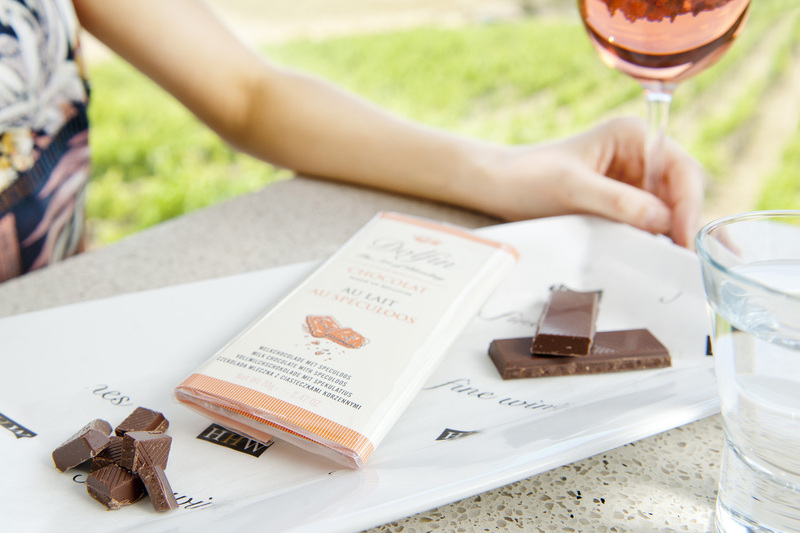 But don’t despair all you B-peeps, because here are five brilliant last-minute Mother’s Day gifts in the Adelaide Hills. What: Marcus Booth-Remmers has quickly earned a reputation as a first-class chocolatier. His handmade creations are for sale in his Stirling cafe, Red Cacao, but each Friday night, he dresses the tables, lights the candles and opens it as a dessert bar to a loyal crowd. The menu comprises astonishing creations that are as sweet on the eye as they are on the palate. Take for example, his ‘Deconstructed apple crumble’ which features quince and apple compote, vanilla rum anglaise, sablé Biscuit and tonka bean toffee shards. The menus change each season. How: Vouchers are available from the café, redeemable for any Friday Mum might like to choose. We suggest giving her a small chocolate heart to accompany Sunday’s card… Visit Red Cacao online or pop into the store (41 Mt Barker Road, Stirling). Alternatively: Deliver her into the warm embrace of the good folk at Hahndorf Hill Winery where she will be shown the refined art of matching fine wines with chocolate. No, really. The Chocovino experience is available seven days a week. What: Make a proper splash for your poor old Mum at Deviation Road Cellar Door. Not only are the bubbles handcrafted by award winning vintner Kate Laurie, but husband Hamish will open your bottle using the Napoleonic tradition of ‘sabrage’. 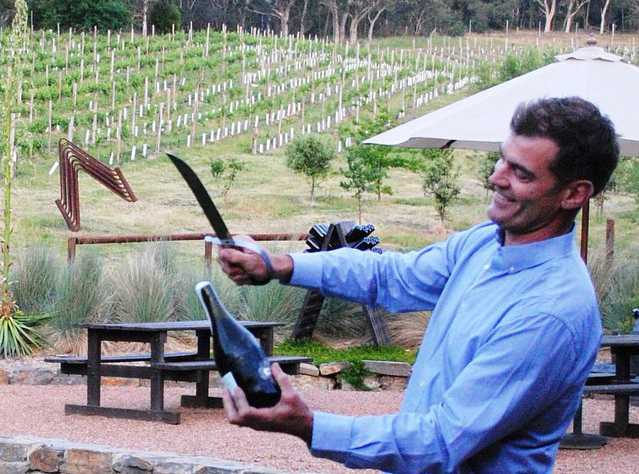 With no small amount of panache, he uses a traditional champagne sword (or sabre à champagne) to remove the upper portion of the bottle’s neck and cork. Alternatively: Book a bubbly lunch at Sinclair’s Gully beautiful Norton Summit cellar door. The ‘Mother’s Day Songbirds’ event sees singer Kelly Chambers paying tribute to female artists like Dido, Adela and Norah Jones. What: Giving Mum a cooking class might seem contrary to the spirit of Mother’s Day but a master class at The Sticky Rice Cooking School is a five-star experience that’s as much about fun as it is fine cuisine. 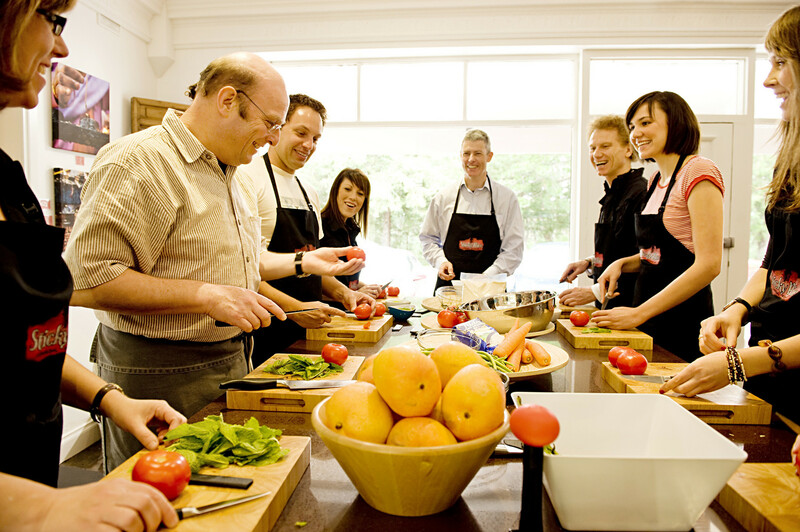 The school is set within a delightful Asian-inspired property in Stirling where top chefs hold regular private classes. Chefs include the like of Katrina Ryan (former head chef at Rockpool), Yukiko Anschutz (Hyatt Regency’s Shiki restaurant) and Mark McNamara (ex Appellation), all sharing tricks of the trade in cuisines from across the region, including Thai, Vietnamese and Indian. Groups are small, the setting is informal (the class is conducted around a long kitchen table), and there’s plenty of chance for socialising as well as a glass or two of wine. After participants have whipped up dishes that dazzle, everyone sits down to eat what they've cooked with a few nicely matched bottles. Alternatively: If Mum prefers to cook sugar- and gluten-free, she might prefer Rilka’s Real Food Cooking School in Hahndorf. Author and broadcaster Rilka Warbanoff holds lively Healthy Kitchen Cooking Classes at her purpose-built kitchen in Hahndorf. 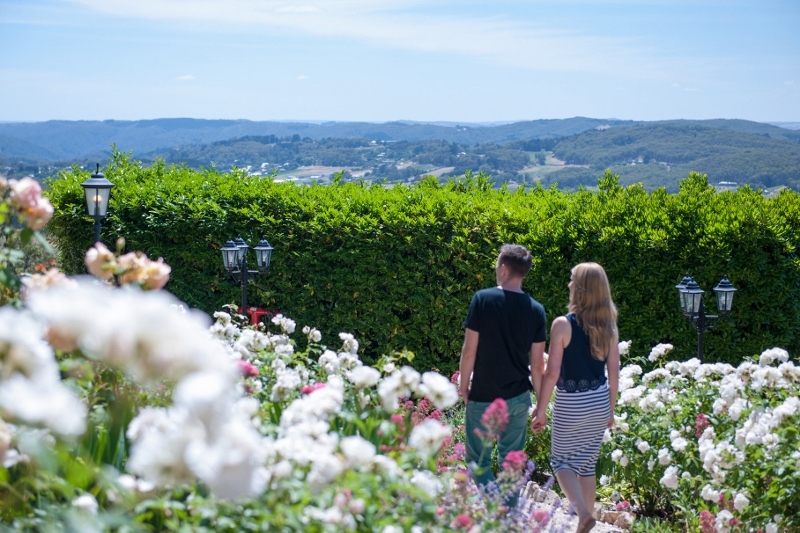 What: Mount Lofty House is a heritage property in Crafers with a distinctly English grandeur and stunning rose gardens. Give mum a seat in the Piccadilly Restaurant and she'll enjoy views out over the blooms as well as the lush valley beneath. And if she's still in the mood for a bit of flora, there's the option of a stroll through the Mount Lofty Botanic Garden next door. How: Visit Mount Lofty House online to make an online booking. If Verse A people have packed the place out, do the voucher thing. A suitable mea culpa in the card may help. Alternatively: Give her camellias at Stangate House in Aldgate. From Thursday May 12 to Sunday May 22, the four-acre property – recognised by the International Camellia Society as an International Camellia Garden of Excellence – will open from 11am to 5pm, with a free exhibition of South Australian sculpture. The Camellia sasanquas have put on a stunning late autumn show. What: Glass works by Aldgate artist Tim Shaw sell for thousands of dollars overseas. 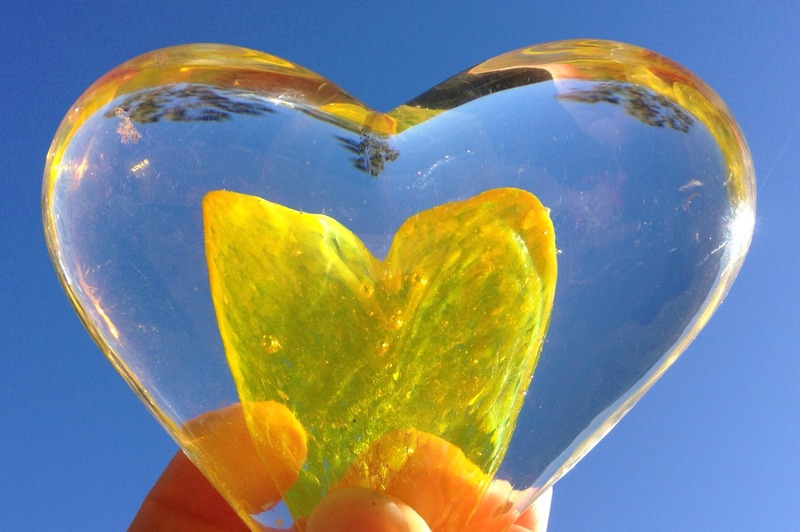 The good news is he also does stunning glass hearts which glow with colour and they’re surprisingly affordable – from around $50 to $100 depending on size.